Forward Solution Engineering Pte Ltd is an industrial supplier and subsequently as a manufacturer of polyurethane industrial component for use in various industries. Our offices are located in Singapore and Johor Bahru (JB), Malaysia. Forward Solution Engineering Pte Ltd added new photo in Material Handling Equipment - Customization Category. Forward Solution Engineering Pte Ltd added 17 photos in Pipe & Joint System - Metal Joint Category. Forward Solution Engineering Pte Ltd added new photo in Electric Pallet Truck - Electric Pallet Truck Category. Forward Solution Engineering Pte Ltd added new photo in Castor Wheel - Spring Loaded Castor Category. Forward Solution Engineering Pte Ltd added new photo in Castor Wheel - Phenolic Castor Category. Forward Solution Engineering Pte Ltd added new photo in Castor Wheel - Business Machine Castor Category. Forward Solution Engineering Pte Ltd added new photo in Castor Wheel - Stainless Steel Castor Category. Forward Solution Engineering Pte Ltd added 2 photos in Pipe & Joint System - Finished Products Category. Forward Solution Engineering Pte Ltd added 3 photos in Material Handling Equipment - Garage Tools & Equipment Category. Forward Solution Engineering Pte Ltd added 2 photos in Material Handling Equipment - Garage Tools & Equipment Category. Forward Solution Engineering Pte Ltd added new photo in Material Handling Equipment - Garage Tools & Equipment Category. 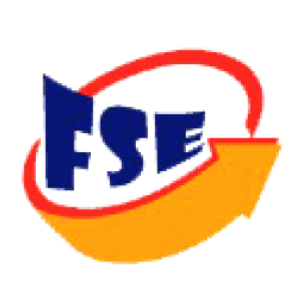 Forward Solution Engineering Pte Ltd added new photo in Drum Handling Equipment - Drum Clamps Category. Forward Solution Engineering Pte Ltd added new photo in Drum Handling Equipment - Drum Truck Category. Address: 5, Soon Lee Street #04-55 Pioneer Point, Singapore 627607. Address: 65, Jalan Mutiara Emas 5/26, Taman Mount Austin, 81100 Johor Bahru, Johor, Malaysia.